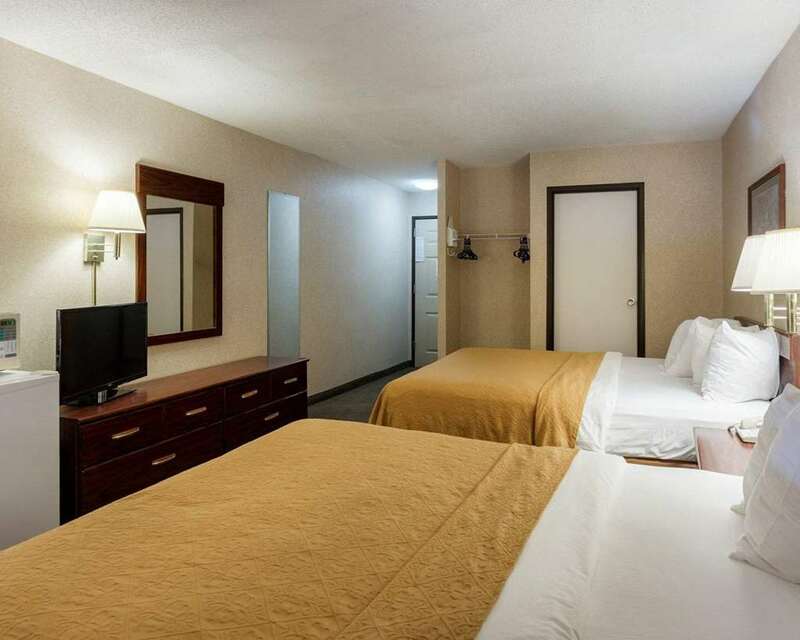 Our pet-friendly Quality Inn hotel in Memphis, TN offers you real value for your hard earned money. We are near several local attractions, including the Grace Estate, Historic Beale Street, Mud Island River Park, Pyramid Arena and the FedEx Forum Arena. We offer every guest a free hot breakfast, free WiFi, fax machine and copy machine. Relax and unwind in your guest room, all of which feature a coffee maker, hair dryer, iron and ironing board. Also, earn rewards including free nights and gift cards with our Choice Privileges Rewards program. Pets allowed. Dogs only. 15.00 USD per stay, per pet. A maximum of 20 pounds and a maximum of 3 pets per room. Pets are not allowed in suites and king rooms.